There is currently no fast, reliable way for checkpoint personnel to verify whether emergency responders are cleared to enter restricted areas. Checkpoint personnel must also be able to detect the use of fraudulent or unwarranted credentials. Only on-duty, appropriately trained personnel should gain access to restricted areas. Veres solutions are applicable to all emergency responders, including law enforcement, emergency medical services, and the National Guard. The following example pertains to fire rescue. 1) A fire station issues a digital ID card to a firefighter. The firefighter stores it on their mobile phone. 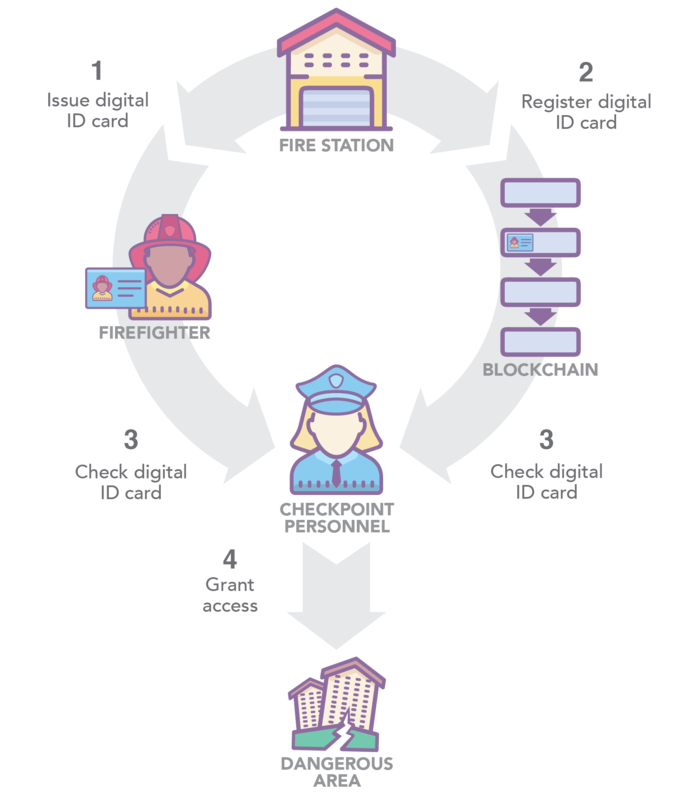 2) The fire station uploads non-personally identifiable information, such as badge ID and training qualifications, from the digital ID card to the blockchain. 3) The firefighter responds to a fire and provides their ID number (either in digital or physical form) to a security guard before entering a restricted area. The security guard uses a mobile device to check the blockchain for the firefighter’s credential and training. 4) If the security guard’s mobile device returns a “VALID” response from the blockchain, the firefighter is authorized to access the area. 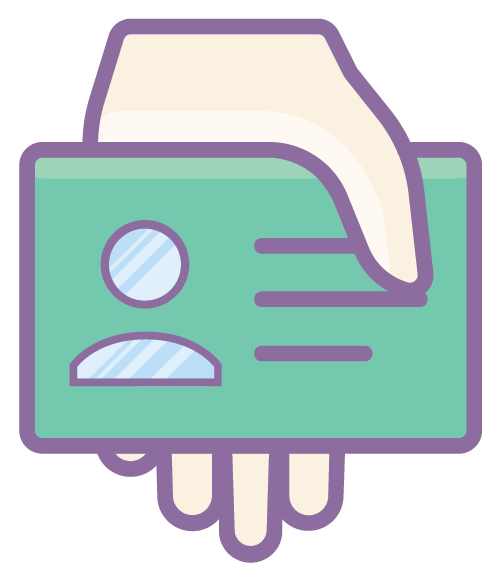 The data on the digital ID card is made tamper-proof through the use of advanced cryptography.